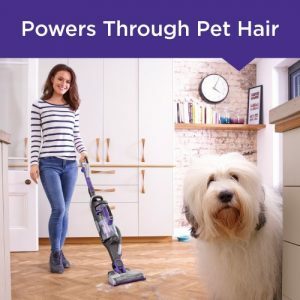 Best CORDLESS Vacuum for Pet Hair * Latest 2019 Recommendations! An Easy Guide to Help You Select the Best Cordless Vacuum for Cleaning Pet Hair! In this article you will find important information to help you choose the Best Cordless Stick Vacuum for Pet Hair. I have included my latest Recommendations for 2019, plus Side-by-Side Comparisons. ..a Whole Lot of Pet Hair! According to the American Veterinary Medical Association (AVMA) the total number of households in the US that own pets is 79,463,000. That’s a lot of pets and a whole lot of pet hair! If you share your home with a cat or dog you want to choose the best possible Cordless Vacuum for Pet Hair to help make your life easier. Removing a cat’s or dog’s shed fur from our home is the ultimate challenge for any type of vacuum cleaner. Until a few short years ago it was considered a job only for a well-designed and powerful corded vacuum – and perhaps only wishful thinking that someday a cordless vacuum could ever successfully rise to the challenge. Someday has arrived! The latest DC digital motor and lithium battery technology have made that wish a reality. 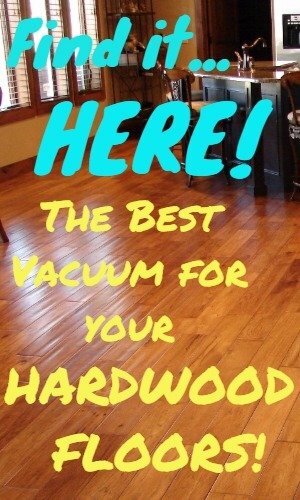 But don’t ditch your full-size corded vacuum just yet! A Cordless Vacuum May Not Be Your Best Option for Cleaning Pet Hair-or Maybe it is! Besides the absence of a cord to deal with, another reason so many pet owners are attracted to them is they are very light weight making them very easy to handle. A typical cordless stick vacuum only weighs around 5 to 8 pounds, making it a “light duty” floor care appliance. Compare that to the average corded upright vacuum that weighs two to three times that much. Plus most of that weight is in the motor which generates 2x to 3x times as many cubic feet per minute of air flow. 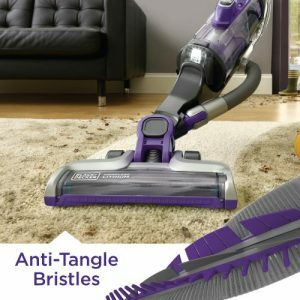 However, the latest cordless technology has made it possible for a cordless stick vacuum to rival a plug-in vacuum as far as cleaning performance goes. The big difference is they cannot do as much for as long as a corded vacuum. 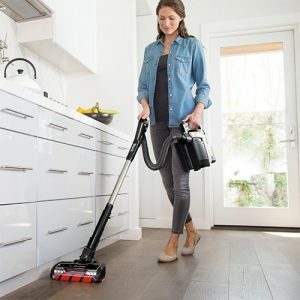 A cordless vacuum depends on an on-board battery for its power source and in order to keep the weight manageable the battery must be relatively small. This compromise limits the amount of operating time that can be obtained on a single charge. That, in turn, limits the amount of cleaning you can accomplish before having to re-charge the battery. This compromise may not be that important if you only have one cat or dog that happens to have relatively short fur. In that case, a well-designed cordless vacuum will work just fine. But, if you have multiple or larger pets that shed a lot of fur you’re probably not going to be satisfied with a cordless vacuum, except for quick clean-ups or maintenance cleaning. I would suggest that you consider a good Corded Pet Hair Vacuum. The truth is, that with a Cordless Vacuum you are compromising overall cleaning utility for convenience. That’s not to say it doesn’t offer good value – if it only helps you to stay on top of the day-to-day messes your pet makes, its probably a wise investment. And, in some circumstances a cordless vacuum could serve as a Primary Vacuum. When a pet sheds its fur it settles on smooth floors as well as carpeted floors – not to mention the hair that gets tracked on to carpeted stairs, and ends up on the furniture. Since most homes have a combination of floor types it’s important to choose a model that is designed to work effectively on each of them. Additionally, a cordless pet hair vacuum should have the necessary features and attachments for above-floor cleaning. Since the cordless vacuum cleaner revolution began a few years ago I have had the experience of researching and reviewing a multitude of battery-powered stick vacuum models. I have learned by experience there are six (6) key features or qualities it must have for it to work well for removing pet hair. Powerful Suction: The most important feature to look for when selecting a vacuum is Powerful Suction. On a cordless vacuum, the primary determining factor that governs suction power is the Voltage of the battery and DC Motor. So, as a general rule, you want to look for the vacuum model with the highest Voltage rating. The top rated cordless stick vacuums are generally equipped with 19 to 25 Volt batteries. no matter how strong the suction a vacuum cleaner produces it has virtually no chance of removing pet hair once it has become entwined in carpet fibers. Depending on the breed and species, the shaft of a pet hair has a rough scaly surface that makes it difficult to remove from the carpet pile. The mechanical agitation of a brush is absolutely necessary to loosen it from the grip of the pile and move it into the suction zone so it can be conveyed into the dirt cup. doesn’t provide enough Runtime to get the job done between charges. The moment you press the power button, the clock begins ticking. The problem is that Runtime is primarily a function of battery capacity or size. Bigger is generally better but it’s also heavier. Most of the top-rated cordless stick vacuums offer 20 to 30 minutes of runtime while operating both suction and a motor powered brush roll. That’s sufficient time to clean a large size room, do several quick clean-ups, or maintain an already mostly clean house. If you are looking for a vacuum to be able to clean several rooms in one cleaning session I have found the best solution is to choose a model that has an easily Detachable Battery. That way, you can purchase a 2nd battery to swap out when the first battery loses its charge. This will serve to double your vacuum’s operating time! Sufficient Capacity: Pet hair takes up a lot of space so it’s important to choose a vacuum cleaner model that has ample Dirt Cup capacity. Otherwise you will be spending too much time having to stop and empty the cup causing a net loss as far as convenience and time saving goes. This is another area where I believe cordless vacuums (in general) need to be improved. Versatility: It’s important that your new cordless pet hair vacuum has sufficient features and attachments to deal with all the messes pet owners typically encounter. Most of the newer generation of Cordless Stick Vacuums easily converts to a convenient handheld unit. This works extremely well for dealing with dirt, debris, plus hair on stairs, furniture, and above-floor areas. Also, the more attachments you have, the better! 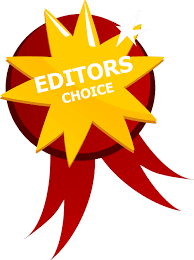 (Updated 2/14/19) I want my customers to have the best experience possible so I have carefully researched and reviewed each of the vacuum models recommended below. Each one has a combination of the important features I mentioned above plus other unique features. These cordless vacuums have proven to be highly effective for managing pet hair. introducing yet another breakthrough model. If you happen to share your home with a furry animal, this exciting vacuum might be just what you’ve been hoping for. The two most distinct features of the Dyson Cyclone V10 Animal are the Star Wars blaster appearance and the price tag. So I think the average person naturally asks the fundamental question: Is it Worth It? To answer that question I think it’s only prudent to consider what your time is worth to you. The Dyson Cyclone V10 Animal’s advanced Digital motor produces suction that is comparable to a plug in vacuum. That means that you can expect it to deep clean your carpet as well as thoroughly clean your smooth hard floors. Of course it takes more than strong suction to really get the deep down embedded hair and dirt from carpet pile. That’s a huge benefit, but what about Pet Dander and the dust mites it attracts? Dyson claims its new torque Drive cleaner head removes 25% more dust from carpets than their previous Dyson V8 animal. And when it comes to allergies, the Dyson Cyclone V10 Animal utilizes Advanced Whole Machine Filtration. Up to 99.9% of those dangerous allergy-triggering villains end up in the vacuum, instead of your lungs. Another distinguishing feature that animal lovers will appreciate is the cleverly designed Hygienic point-and-shoot dust bin emptying system. One of the most frequent complaints of new owners of cordless stick vacs is that sometimes they have to manually remove stuck dirt and hair from the dust cup. With the Dyson Cyclone V10 Animal you simply point the dust bin at the trash can and push down on the red tab. The content is ejected without having to touch it with one easy action-Waa la! 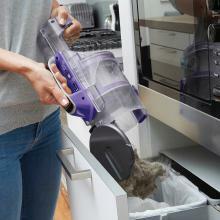 And if that’s not enough to make you jump and shout, Dyson has made the dirt bin 40% than the Dyson V8 animal. The feature that really caught my attention is the new In-Line design. This concept allows the air to flow directly into the dust cup without the restriction of bends and twists, almost eliminating any clogging issues. This is especially important when vacuuming up pet hair. One of the most important questions most people have when considering a battery-powered vacuum is: How long will it operate before the battery needs recharging? As with any battery-powered stick vac, it depends on the floor surfaces you clean and how you use it. The Dyson Cyclone V10 Animal has Three Power Modes: Low, Medium, and High. In the Low Mode you can expect up to 60 minutes of runtime with Suction Only and up to 40 minutes in Medium Mode. Using the Medium Mode with the Motorized Torque drive cleaner head Up to 20 minutes of run time. In High or Max Mode duration is reduced to about 10 minutes or less. If your home has mostly wood floors and low pile carpet or area rugs you will find that the Low mode is sufficient. Of course, the main attraction of a cord-free stick vacuum is convenience. Not only are you not hindered by a cord, but the light weight makes these wonder brooms so easy to operate. This is especially important for above-floor cleaning. At a measly 5.86 pounds the Cyclone V10 Animal enables one hand operation. With all the included tools you will be able to tackle every area of your home. And one of the biggest cleaning challenges is made easy by using this machine in the handheld mode. Snap on the motorized Mini Tool and easily remove the trampled down dirt and hair from carpeted stairs. Or, remove all evidence of Fido’s visit to the vet from your car. The cleaning performance of the Cyclone V10 Animal is impressive on both carpet and wood and hard floors. It actually rivals a good plug-in upright. A corded vacuum generates greater air flow and has a wider cleaning path as well greater dirt-holding capacity so it’s not quite an equal substitute. You would think that a vacuum cleaner with such a high price tag would be perfect. I have tested and reviewed a lot of vacuums and not one of them has been without some flaw or issue. There are several issues with the Cyclone V10 Animal that you should consider before buying. One source of customer complaints is the Trigger On/Off switch. Some customers report that they get finger fatigue from holding the trigger in for a long period of time. I don’t know why Dyson insists on equipping their cordless stick vacuums with hold-down ON/OFF Triggers. Their argument is that it’s to save unnecessary power consumption. Another source of complaints is that the battery is Built-in as opposed to a Removable/Replaceable. A removable battery pack would allow you to upgrade the runtime. The battery can be replaced if you are willing to follow a DIY Video or take it to an authorized Dyson Repair center. Like most other motorhead stick vacuum the Cyclone V10 Animal is not free-standing. To park it, you have to lean it against a piece of furniture or the wall. It does come with a Docking Station where you can store and recharge it. Other than that, the Dyson Cyclone V10 Animal is a real joy to operate. It actually makes cleaning up after your pet something to look forward to. Maybe that’s a bit of an exaggeration, but it will certainly be a welcome addition to your home! Considering the time this machine will save you (not to mention the convenience of cordless) I definitely believe it is Worth It-especially with Amazon’s recent Price Drop. The Dyson Cyclone V10 Animal is definitely one of the Best Cordless Stick Vacuums for Pet Hair currently available. “motorhead” design that made cleaning your floors fun. But the new ION P50 Cordless Upright Vacuum (IC162) from SharkNinja is not only fun to operate; it’s a really practical appliance for anyone who shares their home with furry pets. A Standard Roller with Stiff bristles in located in the rear of the power head for deep cleaning carpet. Pet hair doesn’t stand a chance with DuoClean! There is a Floor Type Selector button located on the handle that lets you Slow Down the brushes for carpet or Speed Up for carpet. Perhaps the biggest advantage of the DuoClean feature is you don’t have to stop cleaning to swap floor brushes every time you move to a different room like with the Dyson V8 or Cyclone V10. The next feature that sets the ION P50 (IC162) from the competition is its FREE-sTANDING! When you’re done vacuuming or have to stop to answer the phone, just return it to the upright position instead of leaning it against a piece of furniture. Simply return it to it’s upright position and it’s Parked! SharkNinja has beefed up the suction power to an amazing 79 inches of water lift which is the highest currently available on a cordless vacuum. That’s enough suction to extract the dirt that gets trapped in the cracks between wood floor boards or along baseboards for a really thorough clean. about the same Air Flow volume of about 28 CFM. Up to 50 minutes in Portable Above-Floor mode is more than enough time to tackle those above-floor cleaning areas. If that’s not enough operating time you can purchase an Optional 2nd Battery Pack and Double the Operating time. 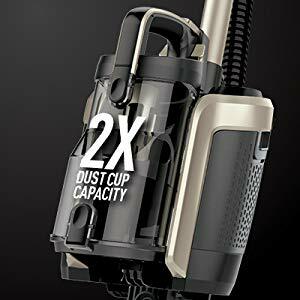 Another feature important to pet owners is the XL Dust Cup with a capacity of about 5 cups which is one of the largest available on a cordless vacuum. It’s easy to empty and clumped up pet hair or dust are not prone to sticking on the cyclone apparatus. Check Out this Impressive Demo VIDEO! The new Shark ION P50 Cordless Upright Vacuum (IC162) represents a Breakthrough for pet owners who are seeking the convenience Cord-Free Operation with the comparable Performance of a traditional Upright vacuum. This is a very Practical appliance! It has the Suction Power to really do a really credible cleaning job on hardwood floors and carpet. The large 28.5 Volt battery pack provides enough Runtime to get most cleaning jobs done. The XL Dust Cup has enough capacity to let you spend your time cleaning instead of emptying. The Shark ION P50 Cordless Upright Vacuum (IC162) is the emanation of some inspired engineers who have put a lot of thought into this design. It’s clear that their goal was to address the needs of their customers. I am confident in recommending the Shark ION P50 as one of the best cordless vacuums for pet hair currently available. recognize the name Tineco either. Normally I don’t recommend a product from a company that has no track record to stand on. But, as it turns out, Tineco is the new cordless stick vacuum division of the well-established company, Ecovacs Robotics, Inc. They are located at 487 Bryant Street, 1st Floor San Francisco, CA 94107, USA, CustomerService@Ecovacs.com, 1 /844-326-8227. When I reviewed the new Tineco A10 Hero Cord-Free Stick it demonstrated excellent performance for cleaning pet hair from my hardwood floor and low to medium pile carpet. I was favorably impressed with the suction power of this product. 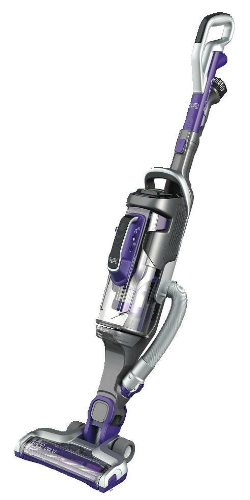 It delivers 110 Air Watts of suction power, compared to the Dyson V8 Animal’s 115 Air Watts. Even more impressive, it’s much less expensive than the Dyson. This machine has good build quality and features. It arrives equipped and ready to take on most of your pet cleaning chores. The Tineco A10 Hero includes a well-designed Mini-Power Brush that’s ideal for cleaning stairs, both the horizontal and vertical portion. Or, use it for cleaning messes on lush upholstery. A 2-in-1 Dusting Brush easily cleans furniture, drapes, and tight places on hard floors. Use the Crevice Tool to clean between cushions and or other narrow places. The Wand and attachments snap on and off easily with one hand while on-the-fly. Press the MAX Suction button for those really stubborn areas. Another feature that I really like about the Tineco A10 Hero is it has a Removable Battery Pack. This enables you to purchase a 2nd Optional Battery Pack and use it to double its runtime. Light Weight & Highly Maneuverable at only 5.3 lbs. Includes: Motorized Carpet Brush, Mini Power Brush, 2-in-1 Dusting Brush, Crevice Tool, Tool and Docking Caddy, and Charger Adaptor. Watch this Cool Demonstration VIDEO! The Tineco A10 Hero has an easy to empty .107 gal. Dust Cup that’s smaller than the Dyson V8 and larger than the Shark IONFlex DuoClean (IF201). 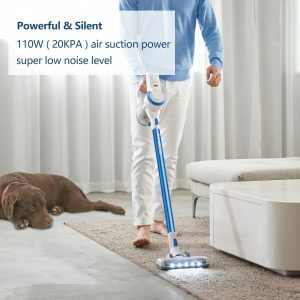 This is a very quiet, user-friendly battery-powered stick vac that has a 10.4 inch cleaning path, so you clean more floor with less time and effort. That’s as large as some full-size corded vacuums! It easily cleaned pet hair from my short and medium pile carpet on Normal Suction Mode. The HEPA Filter traps those allergy causing particles such as pet dander, dust mites, pollen, and mold spores. Like most battery-operated stick vacuums the Tineco A10 requires cleaning the filter somewhat frequently. That’s because the airways and filters are small. One of the disappointments I had when testing this product is that it didn’t pick up large debris such as dried dog or cat food from my hardwood floor. That’s because the powered floor brush is designed for mostly carpet. The good news is you can purchase an Optional Hard Floor Power Brush that totally cleans any mess you might encounter on your hard floors. My main peeve (as with most cordless stick vacs) is the A10 is not Free-Standing. However, a handy chair or wall does the trick. A smarter option is to upgrade to Tineco’s A10 Master Edition . It’s the exact same machine as the A10 Hero, except for the trim color plus it includes 2 Battery Packs, a Power Carpet Brush and a Power Hard Floor Brush, plus the other attachments at a very attractive price. I found the Tineco A10 Hero to be pleasant to operate and very effective in my cleaning tests. This a nicely designed and built cordless vacuum that will work great for helping you manage pet hair. I highly recommend this vacuum! It has a sufficiently large Dust Cup capacity at 0.3 dry quarts. That’s enough capacity to accomplish a significant amount of cleaning before emptying. The DuoClean feature is the best idea I have seen for cleaning smooth and hardwood floors as well as carpet. It’s especially effective for cleaning up cereal, Kitty Litter, dry pet food like Meow Mix or Purina Dog Chow without slinging it all over the house. 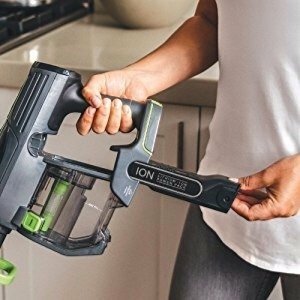 The IONFlex feature makes the Shark IF201 the most versatile cordless stick vacuum currently available. Not only does it enable you to easily reach under furniture (without bending over,) but it also allows you to park it anywhere. This feature eliminates having to lean it against the wall or furniture every time the phone rings. SharkNinja warranties the IONFlex IF201 for 5 Years. That’s the longest warranty on any cordless vacuum. Watch this Informative SharkNinja Demo VIDEO! removing pet hair from carpet, smooth floors, and above-floor areas. Cleaning stairs is an easy task with this vac. With the DuoClean feature this is one of the best cordless vacuum for pet hair on hardwood floors currently available! The IONFLEX Feature provides exceptional versatility. The Handheld feature enables you to attack pet messes in places that are not reachable with other vacuums. 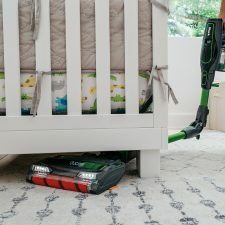 With the option to easily Swap Out Batteries and the ample Dust Cup capacity the Shark IONFlex DuoClean Cordless Stick Vacuum IF201 can be used as a Primary vacuum in some homes. It’s also available as a Combo Package 2x model IF251 which includes a 2nd Battery and a Docking/Charging Station which will save you a few bucks. 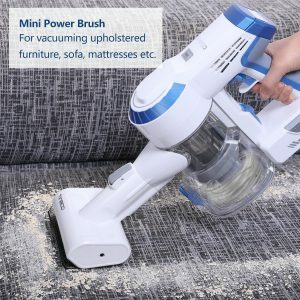 I highly recommend this unique vacuum! The Shark IONFlex DuoClean IF201 is a uniquely designed cordless vacuum that offers excellent performance for dealing with pet hair. I highly recommend this product! When it comes to helpful cordless tools and appliances Black and Decker is a name that has earned a place at the top of the list. After all, they pioneered the first commercially successful battery-powered handheld vacuum. 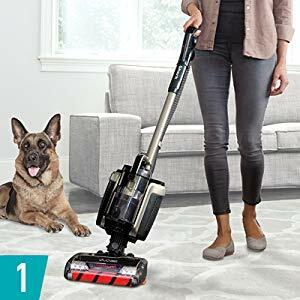 The BLACK and DECKER POWERSERIES PRO Cordless Lithium 2 in1 Pet Stick Vacuum, HCUA525JP is a refreshing departure from the trendy motorhead stick vacuum design. Instead, B&D has built this model upon the more traditional Upright configuration. You might ask “why is this important to me?” In the first place the B&D Powerseries Pro HCUA525JP will stand on its own without having to lean it against a wall or furniture every time you have to stop and answer the phone. Also, the center of gravity is lower placing more weight on the floor nozzle instead of near the handle. This applies more weight to the floor nozzle where it belongs for more even cleaning. innovative features that make it highly effective for managing pet hair. One of the issues that can make vacuuming pet hair an pleasant chore is having to remove hair that gets tangled around the brushroll. B&D has addressed this issue by incorporating Anti-Tangle Bristles in the brushroll. It doesn’t eliminate the problem completely but it helps considerably. The air channels on this machine are sufficient size to handle clumps of fur without clogging. This is a common problem with many cordless stick vacuums. A 20V Lithium Battery provides plenty of suction power to get the job done and up to 60 minutes of runtime (suction-only.) You can expect 20 to 25 minutes while operating with the motorized floor brush. Its charged by a small yet efficient jack plug charger that plugs into any convenient 110/120V wall receptacle. One of the features I really like is this vacuum Stands Alone. It doesn’t require a wall-mounted bracket like most of the motorhead designs. Just move it to the upright position to Park it. A common complaint with some of the other cordless pet vacuums is insufficient dirt cup capacity. Black and Decker has solved this problem with a clever Dust Compacter. While you vacuum it creates 1.05 qts. of space in the dirt canister so you don’t have to stop every 3 minutes to empty. Additionally it makes it easier to empty once it is full. This is a huge benefit for pet owners. You shouldn’t have to touch the yucky nasty dirt and hair once the vacuum cleaner has done its job. Another feature that really impresses me is the unique Lift-Off capability. It allows you to carry the light-weight canister with one hand while using the flex hose and attachments in the other. This allows you to clean furniture, counter tops, or 4 foot overhead areas using the extension wand. The Anti-Tangle Rubber bristles on the floor brush does a superior job of lifting out trapped pet hair from carpets as well as from smooth hard floors. Check Out this Detailed Personal Review VIDEO! wall Charger, 5” Pet Brush, 9” Crevice Tool, CUASF10 Washable Filter Kit, 3-in-1 Accessory Tool, and a CUASF10 Scented Tablet for managing pet odor. This cordless pet vacuum does an excellent job cleaning smooth floors and works well carpet. The B&D POWERSERIES PRO HCUA525JP is a serious tool for managing your pet’s messes in your home. It’s backed by a 2 Year Manufacture Warranty. It has a whopping 1.05 qt. Dirt Cup capacity, and weighs only 8.25 lbs. It deserves to be at the top of your list of the Best Cordless Vacuums for Pet Hair. Can I use Shark IONFlex DuoClean Cordless Ultra-Light Vacuum for my dog hair? Hi Will, Thanks for your reviews. I just purchased the Dyson V8 Animal and used it for the first time this morning. It vacuums great, but I don’t like that I have to hold down the power button the whole time I’m vacuuming. Sadly, I’m going to return it and find one that has an on/off button. I see the Tineco A10 has this feature. Can you tell me if any of the highly rated cordless vacuums have an on/off button? Thanks so much. Hi Amy! Sorry to hear the Dyson V8 Animal didn’t work out for you. Yea, I totally agree, I personally don’t care for the trigger issue of having to hold it in while vacuuming. This has been a common complaint every since the V8 series was introduced but Dyson refuses to change it. The Tineco A10 does have the press once for ON and once for OFF. It’s a nice vacuum and has plenty of power. That would be a good alternative. Amy, the Dyson V8 series have built in batteries which is just fine. The problem is that after about 3 years of normal use they won’t retain a charge and the whole vacuum becomes useless. You can order a new battery but it is not easy to install. That also means the runtime is limited. With the Sharks you can purchase a 2nd battery pack to double your Runtime and when the batteries will no longer hold a charge you simply purchase a new battery pack instead of throwing away a $300 vacuum. Make sense? I have a dog and a cat and my vacuum cleaner just died! Since i have to vacuum 3 floors, i was looking for something light, cordless and powerful enough to use as my main vacuum cleaner, not just to pick up messes. Can you suggest a model? You didn’t mention what breed of dog you have. If it has long fur a cordless stick vacuum probably won’t work for you. However, if it has short to medium length fur I would go with the Shark ION P50 Lightweight Cordless Upright Vacuum (IC162). I realize it may not be as trendy as the Dyson V8 or V10 but it is much more practical. It has good capacity, plenty of power, and it uses replaceable Battery Packs instead of a built-in battery like the Dysons. It’s a little heavier at 12 lbs. but if you are expecting to use it as a primary vacuum that extra weight is because it has full-size vacuum cleaner features. Hi Will! Thank you for the great information. I am in search of a cordless vacuum as my primary one. I have a small house with hardwoods only and 2 cats (one long hair, one short). I am comparing the Tinco A10 master and the shark duos. Would either one of these be a good choice? I am leaning to the Tinco because of the Hepa filtration. Hi Diane, and thanks for your question. The Shark is definitely the way to go, especially since you have mostly hardwood floors. The DuoClean feature is the best innovation yet for cleaning hardwood floors. I agree that the HEPA filtration can be a good choice. The Tineco is a good vacuum but its HEPA filter is relatively small and you will find yourself having to stop somewhat frequently from cleaning your floors to clean the HEPA filter. Otherwise the suction will diminish. The Shark IONFlex DuoClean Cordless Ultra-Light Vacuum (IF201) does NOT have a HEPA filter but it traps dirt by using Cyclonic technology to separate the dust from the air which is very effective. That’s why it’s not prone to suction fall-off like the Tineco. More importantly is that it has a “Sealed Filtration System” that prevents any leakage of harmful dust around the filter. If a vacuum cleaner doesn’t have a SFS its somewhat of a moot point whether it has HEPA. It’s a more practical vacuum because of the FLEX feature that enables you to park it anywhere. The particulates that trigger an allergic event are actually relatively large and are trapped by conventional filtration. The Shark ION P50 Lightweight Cordless Upright Vacuum (IC162) DOES have HEPA filtration along with a Sealed System for the best filtration possible. It is also FREE-Standing which you will be glad you have. 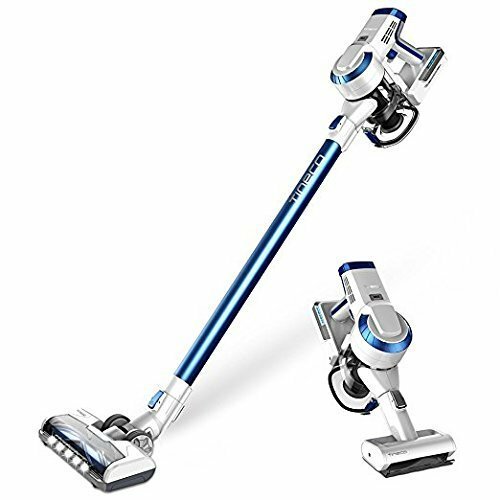 This is probably the most practical cordless vacuum for cleaning hardwood floors and dealing with Pet Hair. It has the DuoClean Feature that can be used in the normal Upright Position or the Lift-Off mode. Overall, the Shark DuoClean models are a better choice for Pet Hair and Hardwood floors.